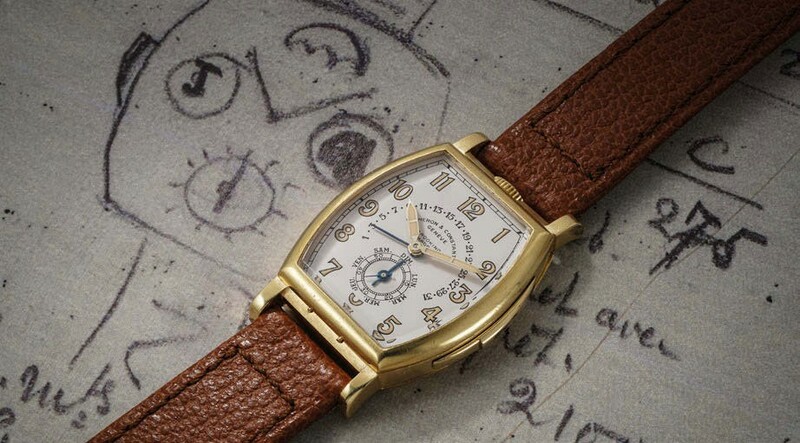 The Vacheron Constantin minute repeater estimated at SFr400,000-800,000 at a Geneva auction on May 11-12. The whereabouts of the watch, well documented in the Vacheron Constantin archive in Geneva but previously only known from a black and white photo, was unknown. However, it turned out that the watch had been kept by the family of the original owner in a vault for over 60 years. It was in December 1935 when Constantin received a letter from Madrid retailer Brooking to commission a highly complicated tonneau-shaped watch – one with calendar indications and a minute repeating mechanism – on behalf of the Chilean mining magnate Francisco Martinez Llano, better known as Don Pancho. His initials appear to the back of an order that, eventually delivered in 1940, cost SFr3750. Years spent in the hot and humid climate of Latin America had left their mark. Phillips took the decision to restore the movement using the original components where possible and to create a replacement dial using the techniques available in the 1930s. The original unrestored dial is also offered with this watch that carries an estimate of SFr400,000-800,000. See also watches feature in this issue.